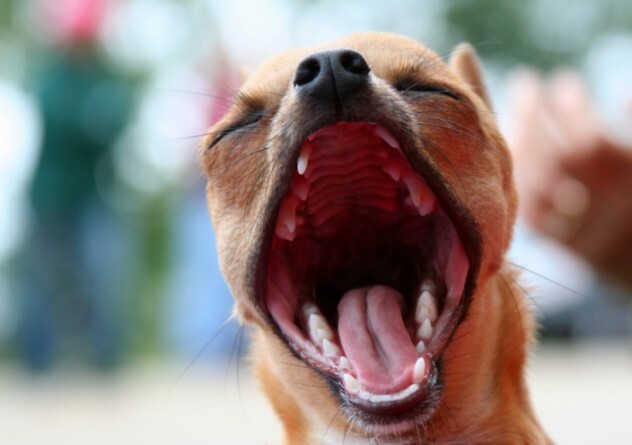 Every pet dog, from the sniveling Chihuahua to the towering Great Dane, is born with the heart of a wolf. Dogs are the domesticated version of the gray wolf and exhibit easily the greatest variation of any species on the planet. Without the dog, it is quite possible humans would still be primitive creatures, devoting our lives to gathering food and defending ourselves from the beasts that lurk at the edges of our campfires. Our dogs offer us protection, companionship, and loyalty to their dying breath. For many years, it has been asserted that the only animals that keep pets are human beings, but a troop of Hamadryas baboons near Ta-if, Saudi Arabia seems to have debunked that theory. Although some remain skeptical, claiming that the animals merely co-exist rather than share any bond, it is believed that the baboons kidnap the dogs as puppies and enjoy a symbiotic relationship with them much in the way that humans do. In exchange for food and companionship, the dogs protect the troop, particularly the vulnerable babies, against other dogs. There has been very little research on the phenomenon, but the footage captured on the scene by a French film crew seems very compelling evidence. Throughout history, dogs have been called on to perform dozens of tasks, from guiding the blind to fighting our enemies on the battlefield. But few realize that centuries ago, dogs also served in the kitchen. The so-called turnspit dog was a sturdy, long-bodied, short-legged canine called upon to operate a wheel (something like a hamster wheel), which would turn a roast on a spit, thus cooking the meat evenly. Turnspits were also used for powering treadmills that would pump water or churn butter, among other things. The harsh treatment of turnspit dogs at least partially inspired Henry Bergh to start the American Society for the Prevention of Cruelty to Animals. Although now extinct, it is believed that the turnspit dog is probably related to the modern-day Glen of Imaal Terrier, listed by some sources as the world’s rarest domestic dog breed, likely to go extinct itself within the next decade or so. Detection dogs, trained to sniff out a wide variety of things from bombs to drugs to cadavers, are an invaluable part of any law enforcement team. But there has been a growing outcry against K-9 units, particularly drug dogs, who have been shown in many cases to give “false positive” readings, or react as though they smelled drugs although none are present, as often as 80 percent of the time. This is an extraordinary risk to the civil liberties of innocent people. In the United States, during a traffic stop, a police officer has no right to search your vehicle without probable cause that a crime is being committed (e.g., possession of narcotics). However, probable cause is automatic the second the dog alerts. There is also some concern that some disreputable officers can give their dogs cues (consciously or not) to alert even when there is nothing to detect. 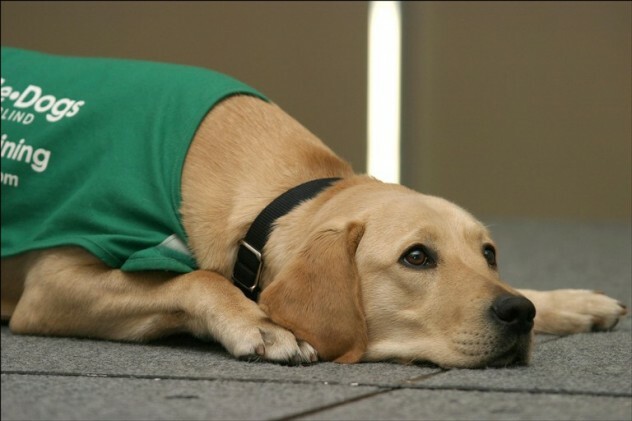 The problem is by no means confined to the United States, with Australian politicians calling for reform in how drug detection dogs are used. A guide dog is one of the best trained animals on earth, but given the handicap of its owner, you might think that the dog has carte blanche to poop wherever he wants (some communities allow this, but most do not). This would be a small price to pay given the service the animal provides. But these dogs are actually trained to eliminate on command. After giving the signal, the handler reaches down and runs his hand over the dog’s back. 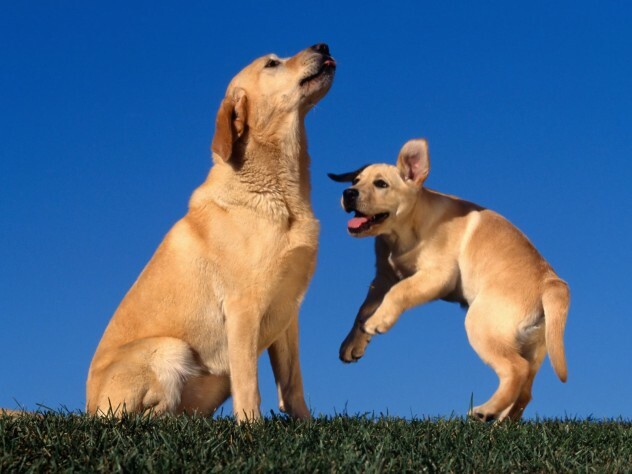 If it is straight, the dog is peeing (male guide dogs are trained to squat like females). If it is rounded, the dog is going numero dos. By following the spine down to the tail, the handler can find the mess and pick it up with a plastic bag like any other pet owner. 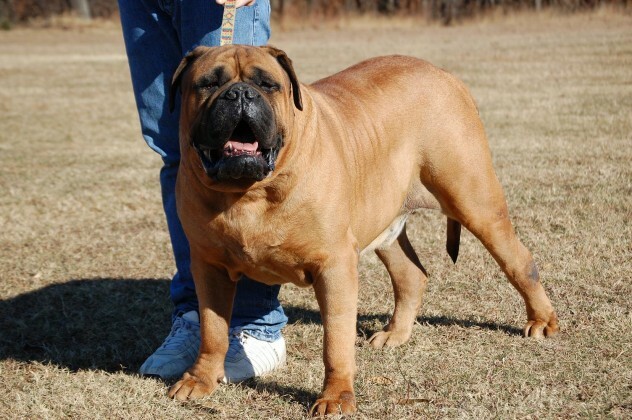 Any fan of Sylvester Stallone’s Rocky franchise would recognize Butkus, the slobbery 145-lb bullmastiff that stars as Rocky’s pet. What some might not realize is that Butkus actually belonged to the actor, and in many ways, the rags-to-riches tale of boxer Rocky Balboa mirrored Stallone’s own life story. Before selling the script for the movie, Stallone was desperately poor. He had no car, a pregnant wife, and $100 in the bank. Unable to afford his giant dog, he wound up selling Butkus to a dwarf named “Little Jimmy” for $50. After selling the script, he returned to Little Jimmy, desperate to get his pet back. According to Stallone, Jimmy was loathe to give the dog back. He said, “He wanted to fight me and said he was gonna kill me—he was a crazy little person. I couldn’t fight him—they’d arrest me—so I offered to pay double. Anyway, $3,000 and several threats later,” Stallone was reunited with Butkus, and Little Jimmy got a bit part in Rocky. The rest is history. The Navy SEALs are among the most elite commando units on the planet. The SEALs’ most high-profile mission was Operation Neptune Spear, an attack on a compound in Pakistan in the dawn hours of May 2, 2011, which resulted in the death of Al Qaeda leader Osama bin Laden. 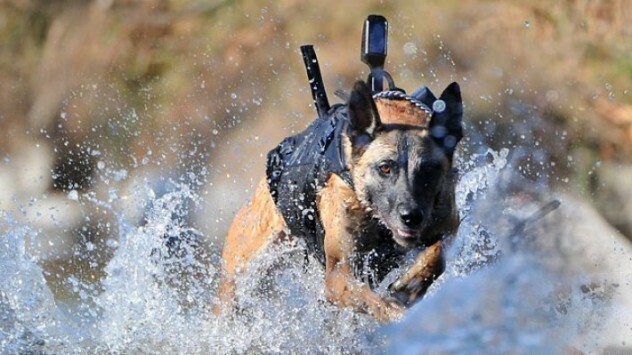 One of the integral members of the team during this raid was Cairo, a Belgian Malinois dog. The Malinois resembles a smaller German shepherd in appearance. It is often chosen for police and military work because its slighter build allows it to be carried by its handler, but with a high drive and 65 lbs of muscle to back up its opinion, it is quite capable of stopping a grown man cold. One of the strangest rumors regarding these dogs is that the military actually removes their teeth and replaces them with titanium fangs, chosen for their apparent “armor piercing” capability. In truth, these dogs cost many thousands of dollars and man hours to train, and should one lose a natural tooth, they are replaced with metal implants, although this is not standard procedure. Implants are actually less effective and are more likely to come out during combat. For a long time, it was assumed that one human year was equal to seven dog years; thus a dog of nine or 10 years would be considered a senior citizen. However, this algorthim doesn’t exactly match up. 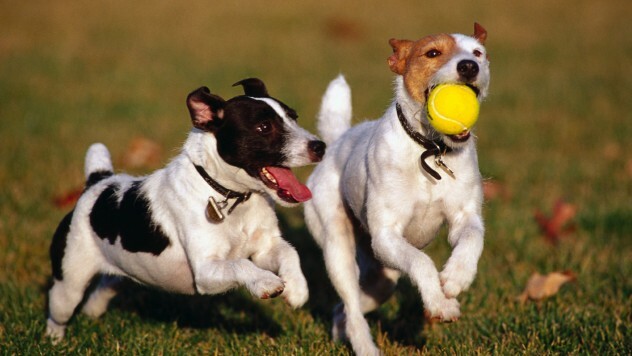 Like humans, dogs age rapidly from puppies to sexual maturity, then things slow down a bit in adulthood. Longevity is largely dependent on size: small dogs like miniature poodles and Yorkies can make it to 15, while massive breeds like mastiffs and Great Danes rarely exceed seven or eight. Mutts of similar size generally hang on a year or so longer than their pedigreed cousins, mostly because of a deeper gene pool. Only a small handful of dogs have ever made 20. It is difficult to investigate many claims of extreme longevity, because owners often lack proof of birth date. The oldest verifiable dog ever was Max, who died on May 18, 2013, just 83 days shy of reaching 30. Max was a terrier mix from Louisiana, purchased from a sugar cane farmer in 1983. One of the most pervasive old wives’ tales regarding the dog is that, despite some rather execrable habits, its mouth is cleaner than any humans’. 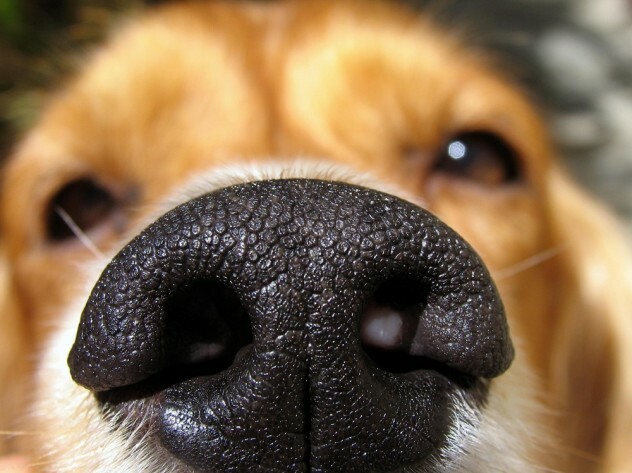 Bad news for those who enjoy smooching with their mutt: this is most definitely a myth, probably rooted in several common observations, such as the dog’s habit of licking its wounds, and the fact that a bite from a human is much more likely to get infected than a bite from a dog. A dog’s saliva certainly doesn’t have any overtly medicinal properties; when he licks an injured area, he is likely removing dead tissue from the area, which would speed up healing. And the reason dog bites have a lower risk of infection than human bites is because bacteria is often species specific. 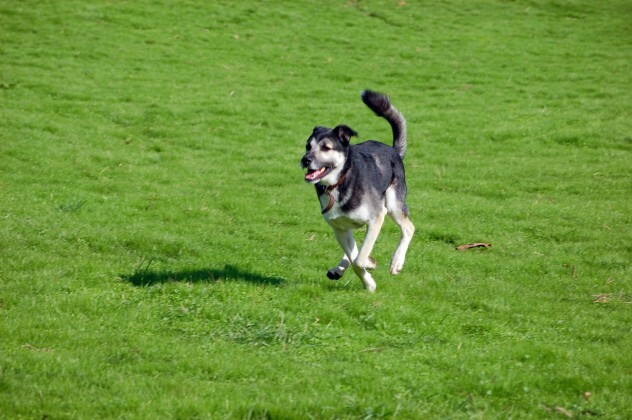 Bacteria that might be potentially deadly to another dog can be harmless to a human and vice versa. The life of a stray dog is particularly short and grim. In Moscow, the situation is more dire still, where any given dog is forced to compete for resources with some 35,000 other strays. Over generations, these intuitive canines have learned to adjust to their urban surroundings. Their strategies are impressive: Muscovite strays have been witnessed obeying traffic lights to avoid being hit by cars. Their antics in getting handouts from humans are equally remarkable. Packs are known to send out adorable little puppies to beg for treats while the more frightening members wait in the wings. But easily the most extraordinary feat exhibited by these dogs is their ability to navigate the elaborate Moscow subway system. Showing uncanny timing and sense of direction, some strays use the trains to travel all throughout the city. 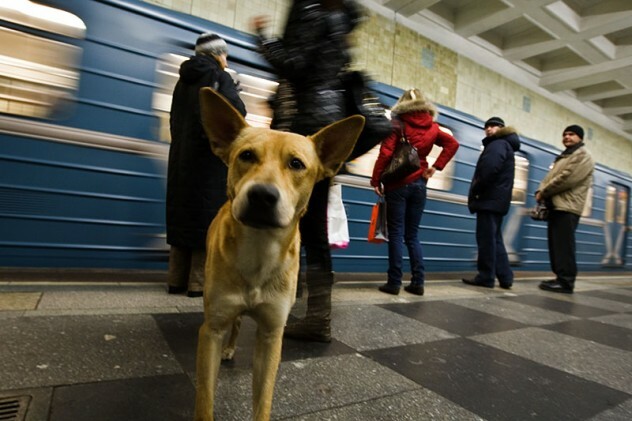 Moreover, the typically surly and snappish feral dogs completely alter their behavior when riding the train, acting friendly toward human commuters, lest they be kicked off.